Homepage > calendar > 2018 Shavuot Special! Welcome to the Great Feast that has more names and prophetic-Scriptural applications than any other. Shavuot has gone from a harvest festival where some of the most important events of the patriarchs happened centuries before Moshe was born, to the day the Ten Commandments were given to the “birthday” of Christianity where it seems almost every “fact” about Acts 2 seems misunderstood or misdirected. 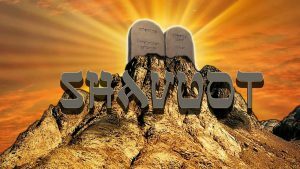 Shavuot has ramifications also that reach deep into the Gospels all the way into the heart of Revelation. Explore the spiritual controversies and politics and get to harvest the truth behind this most amazing yet enigmatic of feasts.